Once a resort city known primarily for its pleasant winter weather, Miami has become an international city important in finance, trade, entertainment, and culture. Its 5.3 million person population is diverse giving rise to a multi-cultural environment. Miami now has one of the most impressive skylines in the United States with more than 300 high rise buildings. 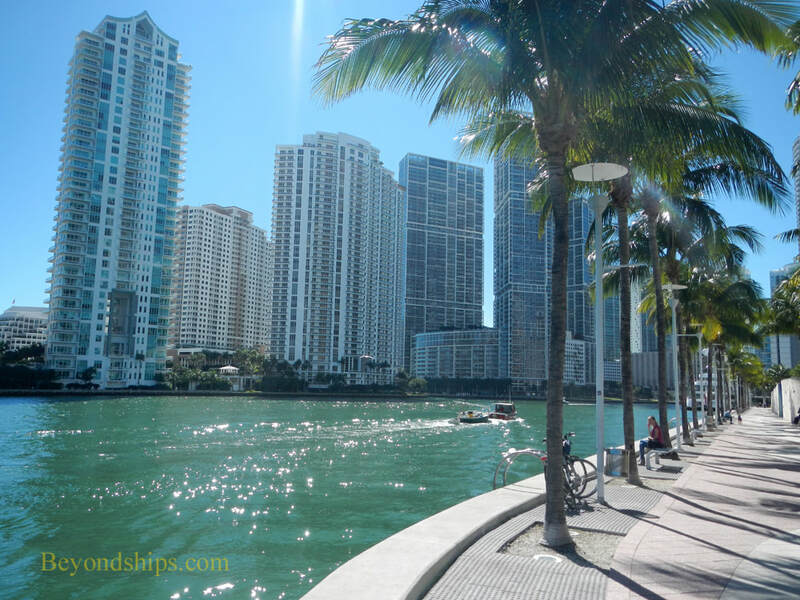 Despite this growth, Miami remains visitor friendly. The seat of Dade County, Florida, Miami lies on the southeast coast of the United States near the southern tip of Florida. 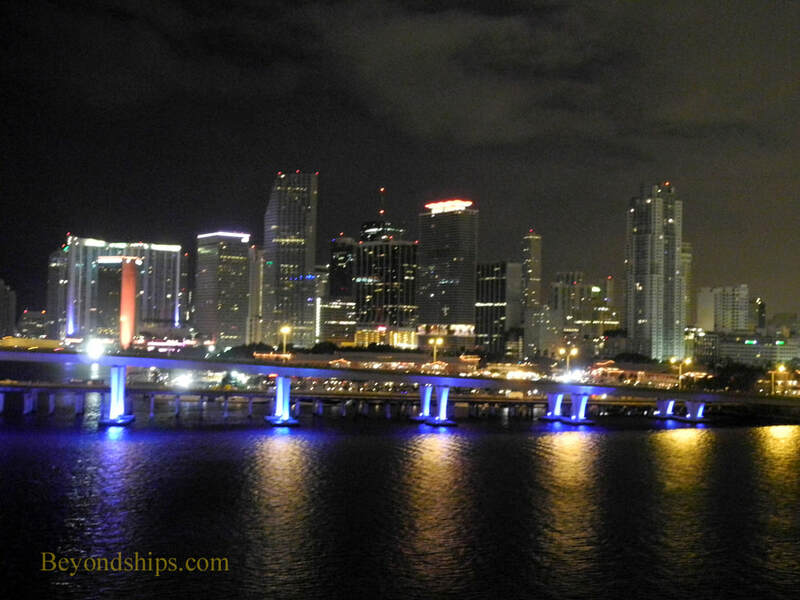 Greater Miami sits beside Biscayne Bay. Miami is a relatively young city. Although there was some Native American and European settlement in the area earlier, Miami was not incorporated as a city until 1896. Julia Tuttle, who owned land near the Miami River, suggested to Henry Flaggler that he extend his Florida East Coast Railway further south. In return, she and other landowners would give Flaggler land to create a city and a hotel. When he Miami area was spared from a freeze that destroyed the citrus crop in the rest of Florida, Flaggler decided to accept Tutltle's offer and extended his railroad into this freeze-free area. The new city grew rapidly with the coming of the railroad and continued to grow through the Florida land boom of the 1920s.. A devastating hurricane in 1926 ended the boom. During the Great Depression growth stalled and the city had financial diffiulties. During World War II, the military made extensive use of the Miami area both in its battle against the German U-boats that were paluguing the Caribbean area and as a training center. The military did not build new facilities but rather rented existing hotels, offices and other structures. Many of the service personnel who passed through Miami during the war were impressed and the city saw another spurt of growth following the war. The advent of afforable home air conditioning in the 1950s also served to attract people to the area. Following the Cuban Revolution of 1959, many Cuban exiles settled in Miami. During the second half of the century, there were further waves of immigration from Cuba and from other Caribbean countries. As a result, Miami has an international flavor. In the 1960s, Miami made a huge commitment to its port. 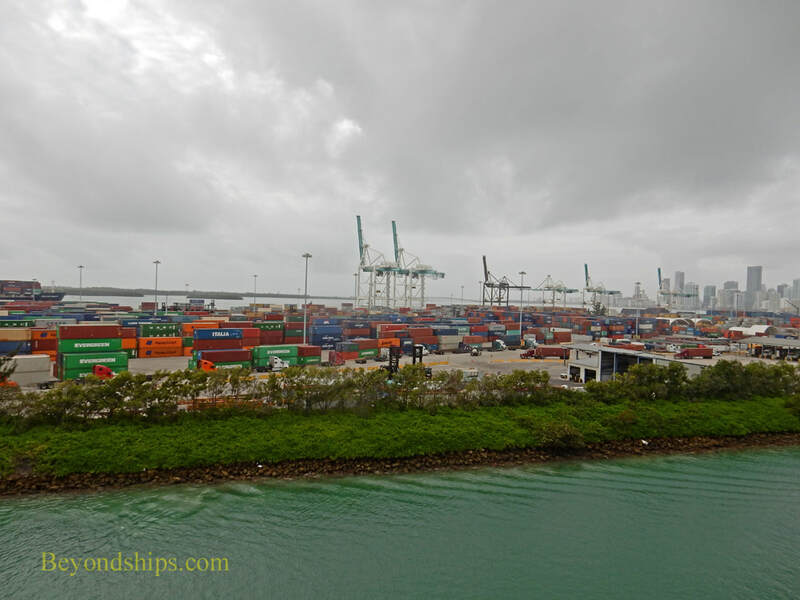 It decided to replace its existing port with a new port that would be built in Biscayne Bay on a landfill that would combine three natural islands Called Dodge Island, the new port would not only handle cargo but there would be a passenger ship terminal and berths for three cruise ships. This project has been very successful and the port has grown over the years so that Miami is now known not only as the “Cargo Gateway of the Americas” but also as the “Cruise Capital of the World." 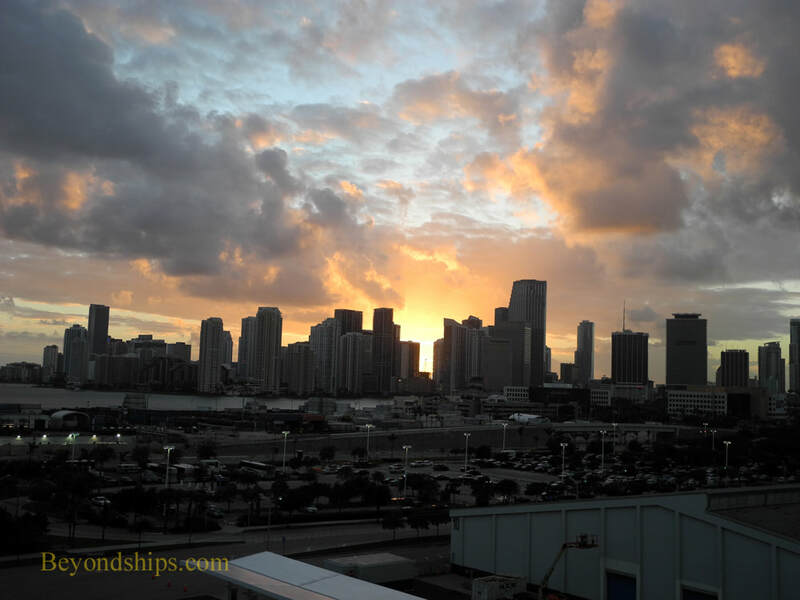 Numerous cruise ships operate out of Miami sailing to the Bahamas, the Caribbean, Europe (saasonally) and occasionally, on world cruises. In addition, the three largest cruise corporations, Carnival Corporation, Royal Caribbean Cruises Ltd. and Norwegian Cruise Line Holdings, are headquartered in the Miami area. The official currency in Miami is the U.S. dollar and other currencies are not widely accepted. However, major credit cards are usually accepted. The predominant language is English. However, a large segment of the population also speaks Spanish. Haitian Creole is also spoken by a significant number of people. 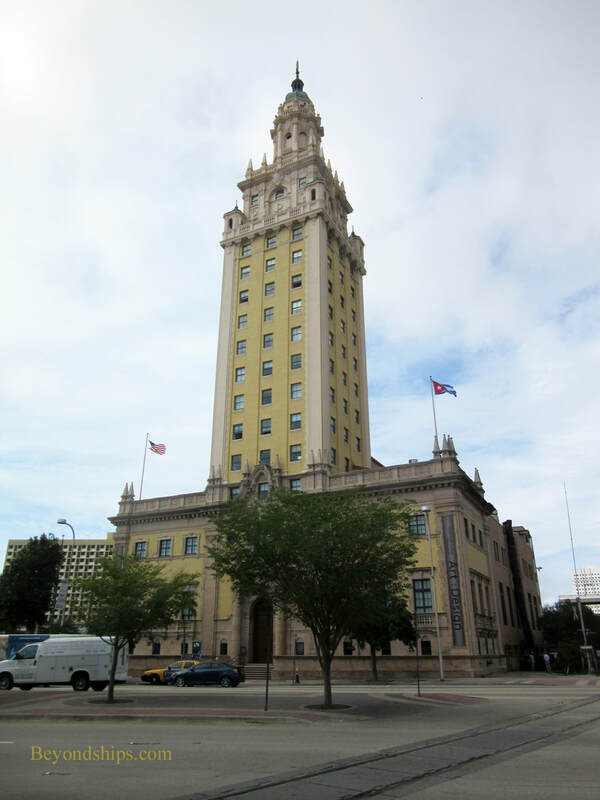 Above: The Freedom Tower in downtown Miami was one of the city' first skyscrapers. Built in 1925 during the Florida land boom, it was home to the Miami News for 32 years. However, it achieved its greatest fame when the federal government used it to provide assistance to Cuban refugees from 1960 to 1972. It is now owned by Miami-Dade College and houses its Museum of Art and Design. (See our Museum of Art + Design profile). 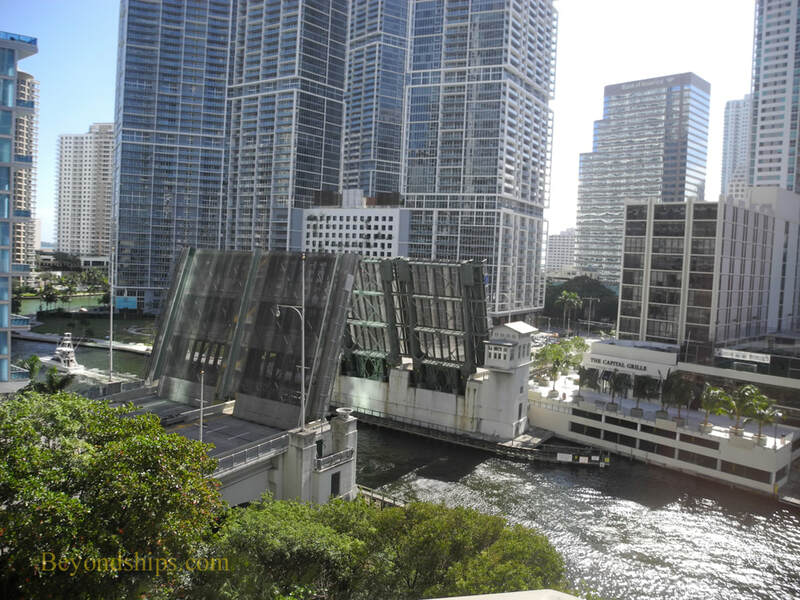 Above: Miami gets its name from the Miami River, which still flows through downtown Miami. Above: Miami is a major cargo port as well as the leading cruise port. 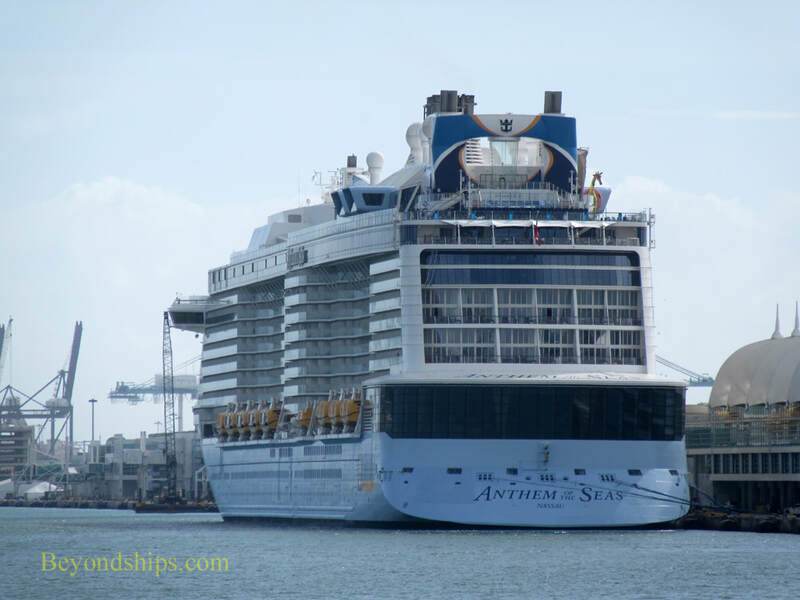 Below: Anthem of the Seas during a call in Miami.